"Hired as a publicist for the Duval salon, Alix Smith was caught up in the rivalry between aging couturier Henri Duval and his son, Paul, a brilliant new designer." 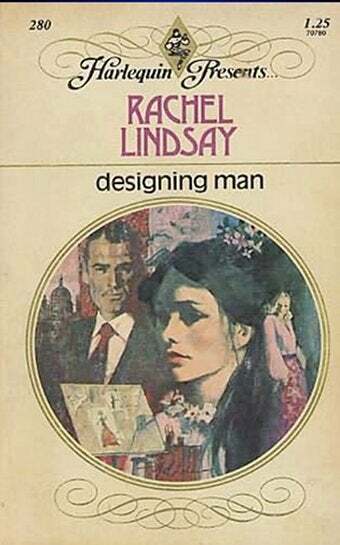 Yes: a 1964 career romance about dueling couturiers. Alix Smith, a beautiful, poised London publicist. Her mischievous smile was at variance with her appearance, which was dark and dramatic. Raven-black hair was swept from a center parting to fall in a glossy wing alongside either cheek. She was pale-skinned without looking anemic and hald almond-shaped eyes of an unusual blue violet, either color of which could be emphasized by her clothes. Today the violet predominated, the irises echoing the violet in the elegant tweed suit. Henri Duval, the aging roue at the head of the venerable couture house with a reputation for "lady-killing." Paul Duval, the temperamental, sensitive genius son. Where Henri Duval was a powerful six-footer, his son was slight in build and only a few inches taller than Alix; where the father was blond, with a florid complexion and firm voice, the son was pale and brown-haired, with a quiet voice and the faintest suggestion of a stammer. Henri Duval hires hotshot publicist Alix to transform the image of the stodgy couture house. From the outset, Paul is against what he sees as the "vulgarizing" of the House of Duval.